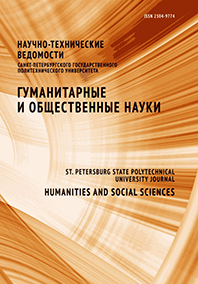 Nikiforov Valerii I. Chernenkaya Liudmila V. Rechinskii Alexander V.
Questions concerning implementation of independently designed educational standards into activities of St. Petersburg State Polytechnic University are considered. These standards cover directions of training of bachelors and masters as well as basic educational programs on profiles of training of bachelors and masters' programs. It brings to the necessity of development of the University's pedagogical conception and strengthening of the role of methodological support Department.